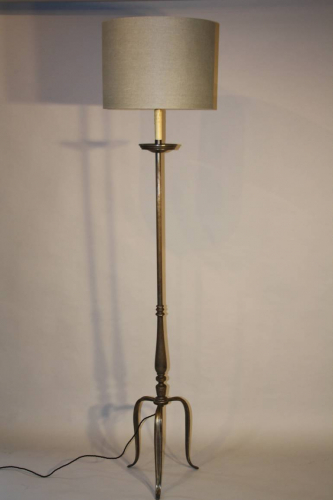 An elegant silver pewter floor lamp. French c1950. Rewired and PAT tested for UK use. The shade is included in the price.